After that, and updating the signatures on Windows, Avira still thinks it is a threat:[WayBack] Jeroen Pluimers on Twitter: “Hey @Avira , I submitted a false positive 10 days ago; on virus-total it is now green, but on Windows – with latest Avira updates – Avira sill thinks it is a threat. What’s up? Over the past few months, various people asked me where to get started with Dependency Injection in Delphi. 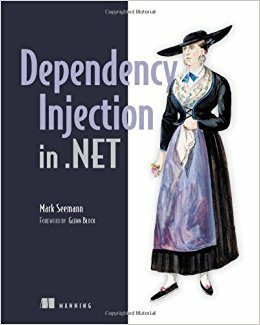 This book covers Dependency Injection from A to Z. In it you’ll learn about Constructor Injection, Property Injection, and Method Injection. You’ll learn about the right and wrong way to use the Dependency Injection Container. Dependency Injection in .NET, winner of the 2013 Jolt Awards for Productivity, presents core DI patterns in plain C#, so you’ll fully understand how DI works, covers integration with standard Microsoft technologies like ASP.NET MVC, and teaches you to use DI frameworks like Structure Map, Castle Windsor, and Unity.